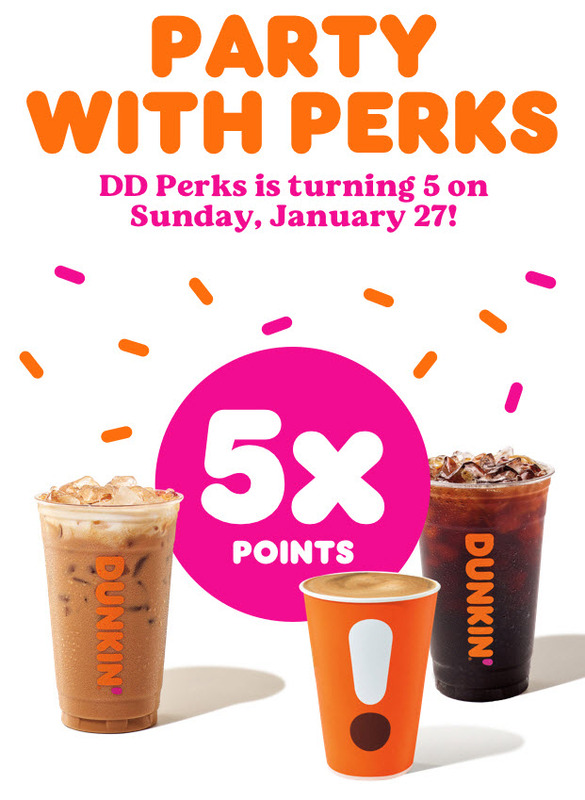 Celebrate with Dunkin to receive 25 points per dollar spent - 5x the standard point earning on all medium or large hot or iced coffee and espresso beverages for 1 day only - Sunday, Jan. 27th! If you are not a DD Perks member, join today to enjoy this sweet offer and many others. Don’t forget to load your DD App with a Dunkin digital gift card from your ShoppingBoss account to receive your cash back.